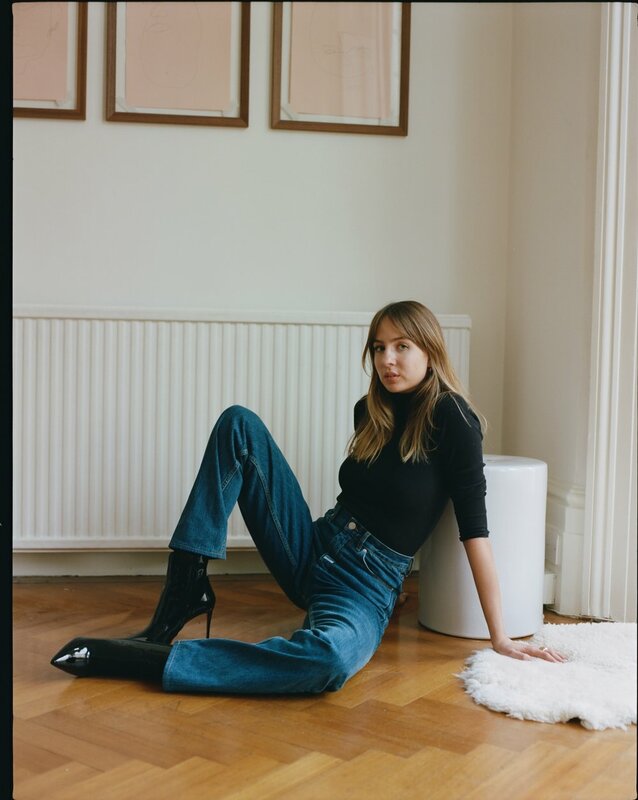 Some photos of me just casually lounging and relaxing in the corner of my lounge in heels and some of my all time favourite jeans, as one does. We reshuffled all my living room to set up this little corner and I of course had the expected shock of what lies beneath a sofa whenever you move it fully (how does so much dust convene into one place?!?!). Work is back on ten to the dozen, and I am loving it. I have LOTS of travels coming up, but lots of nice short stays here and there, and I cannot wait to feel inspired by them all. I feel like it’s been ages since I have shot loads of film on a trip, scanned them all and shared them on here - so I cannot wait to get back into that too. These photos were shot a few weeks ago before I properly wore these shoes out and about. I bought them in the January sales, and sadly really really do not recommend them. I wore them for one evening out in Amsterdam and both heels tips came off, and the heels are totally wrecked. I know Amsterdam is cobbled, but really shoes of any price should be able to withstand one evening of being worn! I have had Aquazzura shoes in the past and loved them all, and been very impressed with the quality, so while I am hugely disappointed about this and wanted to let you know about this, it wouldn’t stop me buying from the brand again.